As per my usual... I love roaming around eBay looking for the vintage glassware. Especially the stuff in minty condition. 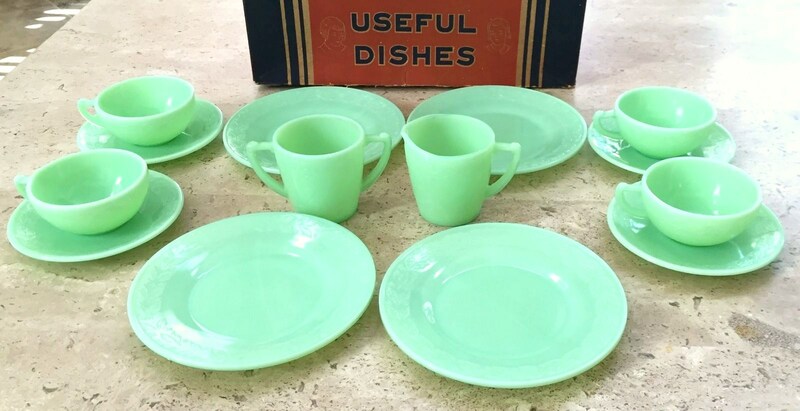 This time it is a stunning set of children hostess dishes in Jadeite. I was bidding on it... and then it started to get a little pricey. Look at that box of perfection. My goodness I love seeing that things this perfect... still exist. 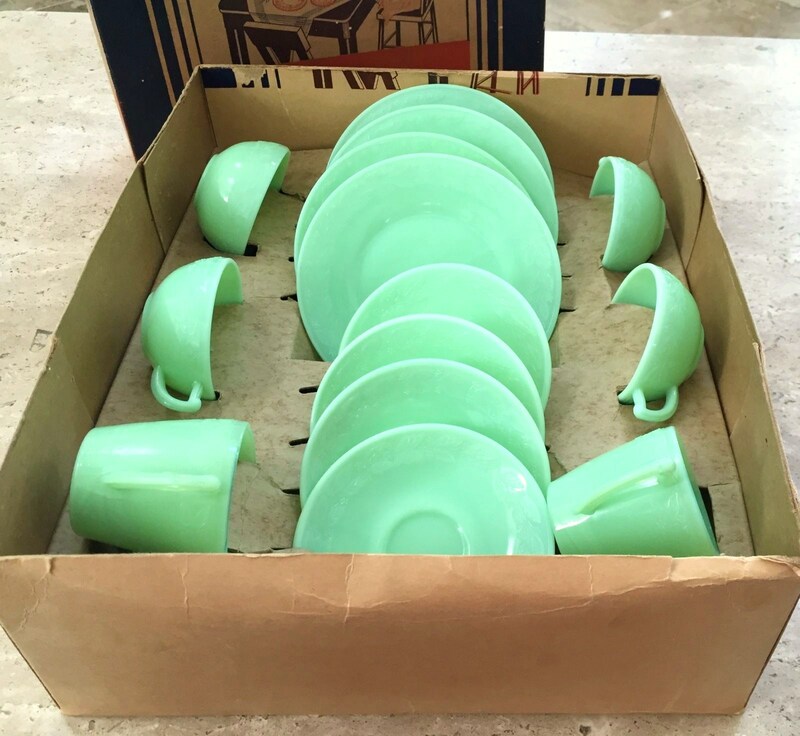 I know none of my childhood dishes are still in their original boxes. Then again I had the sweet little china tea sets, that I bought at the local M.E. Moses. My goodness I must have had 8 sets of those china tea sets. All sizes and decorations. I loved them all. Plus I inherited(hand me downs) all kinds of good things (for little girls) from my older cousins too. 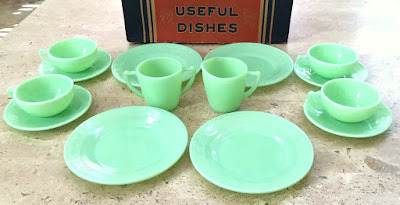 My goodness I have never really stopped collecting dishes. They just cost me a lot more now. 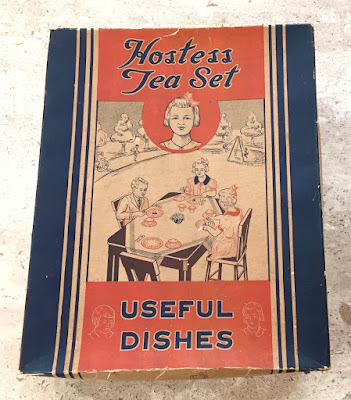 Than those sweet little 4.00 sets from M.E. Moses. image from here... and still for sale!